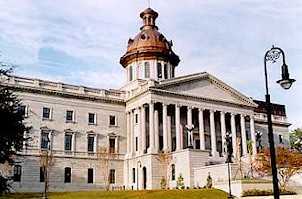 South Carolina is in the heart of the south, and Columbia, the capital city, is in the heart of South Carolina. 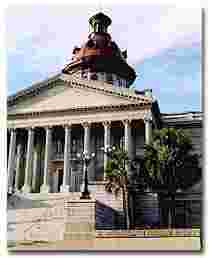 Construction of South Carolina's State House began in 1851 when the cornerstone was laid for this "fireproof building." Construction was suspended during Sherman's attack on Columbia when a fire completely destroyed the building. (See the irony here? LOL) The State House was finally completed around 1904. Built in 1855, the Governor's Mansion has been home to more than 30 governors and their families. We don't have a lot of time, but come on in, and I'll show you just a little bit of the inside. 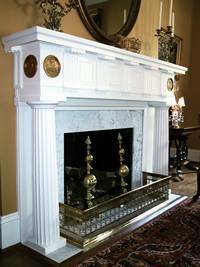 This mantel, located in the main Drawing Room, was designed by Mrs. Burnet R. Maybank when she was first lady in 1939. The state seal is carved on each end. 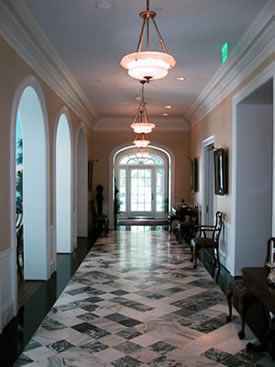 South Carolina ladies are highlighted in the small Drawing Room through artwork in a delicate and decorative setting. 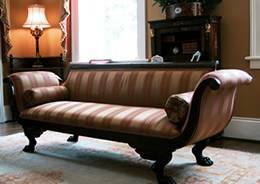 This sofa once belonged to Archibald Rutledge, poet laureate of South Carolina from 1934 until his death in 1973. 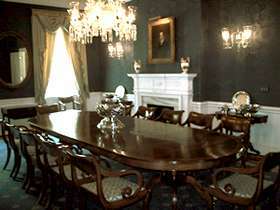 As official host and hostess for the state, the Governor and First Lady entertain many guests in the State Dining Room. The solid mahogany table extends to over 20 feet and easily accommodates 22 guests. 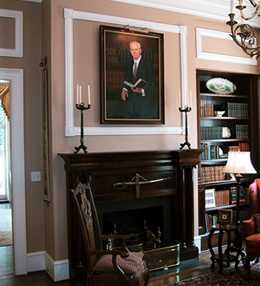 The walls of the Hall of Governors are adorned with portraits and busts of South Carolina governors. 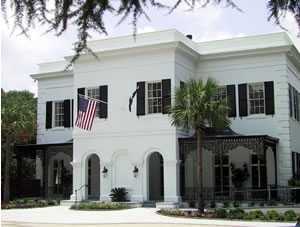 The Library houses numerous books concerning South Carolina and its people, and a large collection of historical memorabilia. This has been nice, but I guess we'd better move along. 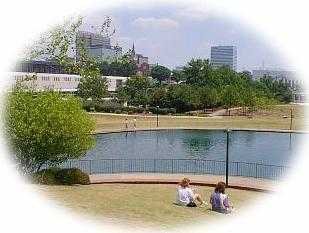 There's so much to see in Columbia.